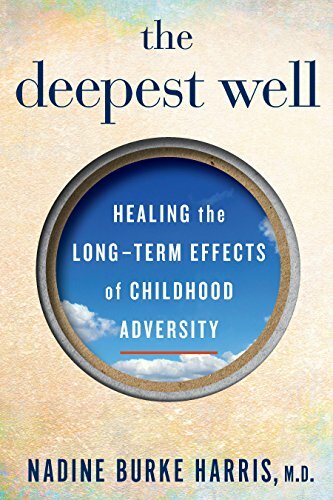 Excerpted from THE DEEPEST WELL: Healing the Long-Term Effects of Childhood Adversity by Nadine Burke Harris. Copyright © 2018 by Nadine Burke Harris. Reprinted by permission of Houghton Mifflin Harcourt Publishing Company. All rights reserved. [Dr. Vincent] Felitti suspected that he might have glimpsed a hidden relationship between histories of abuse and obesity. To get a clearer picture of that potential relationship, when he conducted his normal checkups and patient interviews for the obesity program, he now began asking people if they had a history of childhood sexual abuse. To his shock, it seemed as if every other patient acknowledged such a history. At first he thought there was no way this could be true. Wouldn’t he have learned about this correlation in medical school? However, after 186 patients, he was becoming convinced. But in order to make sure there wasn’t something idiosyncratic about his group of patients or about the way he asked the questions, he enlisted five colleagues to screen their next hundred weight patients for a history of abuse. When they turned up the same results, Felitti knew they had uncovered something big. then putting it through its scientific paces. Beginning with just two patients, this research would eventually become both the foundation and the inspiration for ongoing work giving medical professionals critical insight into the lives of so many others. After the initial detective work within his own department, Felitti started trying to spread the word. In 1990 he presented his findings at a national obesity meeting in Atlanta and was roundly criticized by his peers. One physician in the audience insisted that patients’ stories of abuse were fabrications meant to provide cover for their failed lives. Felitti reported that the man got a round of applause. There was at least one person at the conference who didn’t think Dr. Felitti had been hoodwinked by his patients. An epidemiologist from the Centers for Disease Control and Prevention (CDC), David Williamson was seated next to Felitti at a dinner for the speakers later that night. The senior scientist told Felitti that if what he was claiming — that there was a connection between childhood abuse and obesity — was true, it could be enormously important. But he pointed out that no one was going to believe evidence based on a mere 286 cases. What Felitti needed was a large-scale, epidemiologically sound study with thousands of people who came from a wide cross-section of the population, not just a subgroup in an obesity program. In the weeks following their meeting, Williamson introduced Felitti to a physician epidemiologist at the CDC, Robert Anda. Anda had spent years at the CDC researching the link between behavioral health and cardiovascular disease. For the next two years Anda and Felitti would review the existing literature on the connection between abuse and obesity and figure out the best way to create a meaningful study. 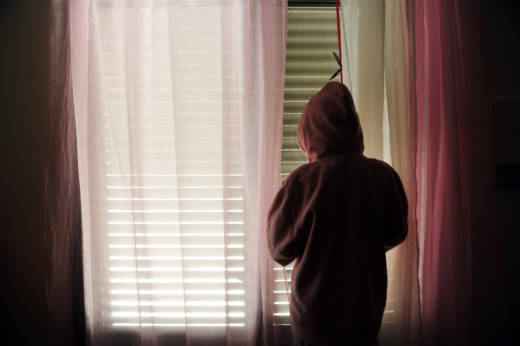 Their aim was to identify two things: (1) the relationship between exposure to abuse and/or household dysfunction in childhood and adult health-risk behavior (alcoholism, smoking, severe obesity), and (2) the relationship between exposure to abuse and/or household dysfunction in childhood and disease. To do that, they needed comprehensive medical evaluations and health data from a large number of adults. Fortunately, part of the data they needed was already being collected every day at Kaiser Permanente in San Diego, where over 45,000 adults a year were getting comprehensive medical evaluations in the health appraisal center. The medical evaluations amassed by Kaiser would be a treasure trove of important data for Felitti and Anda because they contained demographic information, previous diagnoses, family history, and current conditions or diseases each patient was dealing with. After nine months of battling and finally gaining approval from the oversight committees for their ACE Study protocol, Felitti and Anda were ready to go. Between 1995 and 1997, they asked 26,000 Kaiser members if they would help improve understanding of how childhood experiences affected health, and 17,421 of those Kaiser health-plan members agreed to participate. A week after the first two visits for this process, Felitti and Anda sent each patient a questionnaire asking about childhood abuse and exposure to household dysfunction as well as about current health-risk factors, like smoking, drug abuse, and exposure to sexually transmitted diseases. The questionnaire collected crucial information about what Felitti and Anda termed “adverse childhood experiences,” or ACEs. Based on the prevalence of adversities they had seen in the obesity program, Felitti and Anda sorted their definitions of abuse, neglect, and household dysfunction into ten specific categories of ACEs. Their goal was to determine each patient’s level of exposure by asking if he or she had experienced any of the ten categories before the age of eighteen. Each category of abuse, neglect, or dysfunction experienced counted as one point. Because there were ten categories, the highest possible ACE score was ten. Using the data from the medical evaluations and the questionnaires, Felitti and Anda correlated the ACE scores with health-risk behaviors and health outcomes. First, they discovered that ACEs were astonishingly common — 67 percent of the population had at least one category of ACE and 12.6 percent had four or more categories of ACEs. Second, they found a dose-response relationship between ACEs and poor health outcomes, meaning that the higher a person’s ACE score, the greater the risk to his or her health. For instance, a person with four or more ACEs was twice as likely to develop heart disease and cancer and three and a half times as likely to develop chronic obstructive pulmonary disease (COPD) as a person with zero ACEs. Given what I’d seen in my patients and in the community, I knew in my bones that this study was dead-on. It was powerful evidence of the connection that I had seen clinically but had never seen substantiated in the literature. After reading the ACE Study, I was able to answer the question of whether there was a medical connection between the stress of childhood abuse and neglect and the bodily changes and damage that could last a lifetime. It seemed clear now that there was a dangerous exposure in the well at Bayview Hunters Point. It wasn’t lead. It wasn’t toxic waste. It wasn’t even poverty, per se. It was childhood adversity. And it was making people sick. One of the most revealing parts of the ACE Study was not what it investigated but who it investigated. Many people might look at Bayview Hunters Point and see the rates of poverty and violence and the lack of health care and say, “Of course those people are sicker; that makes sense.” After all, that’s what I learned in public-health school. Poverty and lack of adequate health care are what really drives poor health outcomes, right? This is where the ACE Study comes in and shakes things up, showing us that the dominant view is missing something big. Because where was the ACE Study conducted? Bayview? Harlem? South-Central Los Angeles? The original ACE Study was done in a population that was 70 percent Caucasian and 70 percent college-educated. The study’s participants, as patients of Kaiser, also had great health care. Over and over again, further studies about ACEs have validated the original findings. The body of research sparked by the ACE Study makes it clear that adverse childhood experiences in and of themselves are a risk factor for many of the most common and serious diseases in the United States (and worldwide), regardless of income or race or access to care. The ACE Study is powerful for a lot of reasons, but a big one is that its focus goes beyond behavioral or mental-health outcomes. The research wasn’t conducted by a psychologist; it was conducted by two internal medicine doctors. Most people intuitively understand that there’s a connection between trauma in childhood and risky behavior, like drinking too much, eating poorly, and smoking, in adulthood (more on that later). But what most people don’t recognize is that there is a connection between early life adversity and well-known killers like heart disease and cancer. Every day in the clinic I saw the way my patients’ exposure to ACEs was taking a toll on their bodies. They may have been too young for heart disease, but I could certainly see the early signs in their high rates of obesity and asthma. 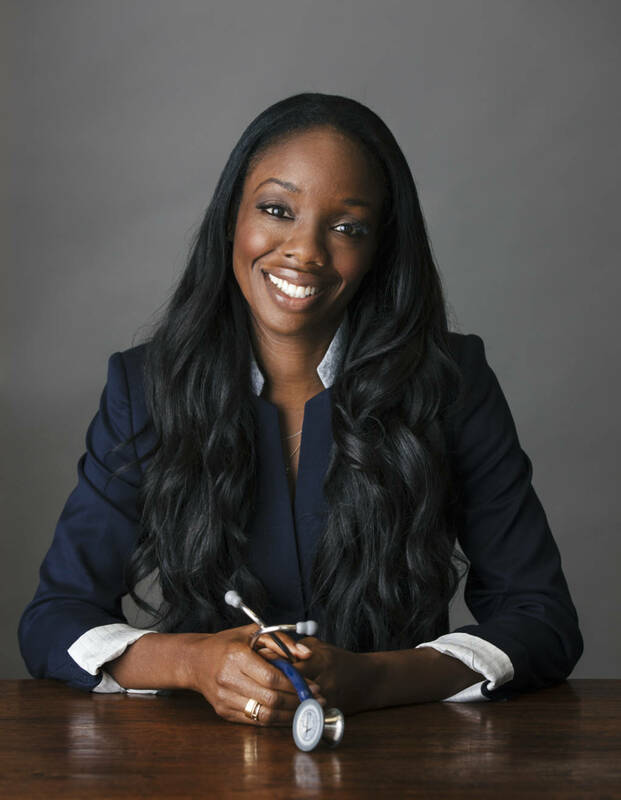 Dr. Nadine Burke Harris is the founder and CEO of the Center for Youth Wellness in San Francisco’s Bayview Hunters Point. She is the subject of a New Yorker profile and the recipient of a Heinz Award, among many other honors. Her TED talk “How Childhood Trauma Affects Health Across the Lifetime” has been viewed over three million times. She lives in San Francisco with her husband and four sons. THE DEEPEST WELL is her first book.